Special Simmons Comprehensive Cancer Center Seminar: "Moving Towards Targeted Therapies for Triple-Negative Breast Cancer." 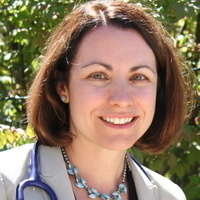 Jennifer Diamond, M.D. Associate Professor of Medicine, University of Colorado Cancer Center will present "Moving Towards Targeted Therapies for Triple-Negative Breast Cancer."